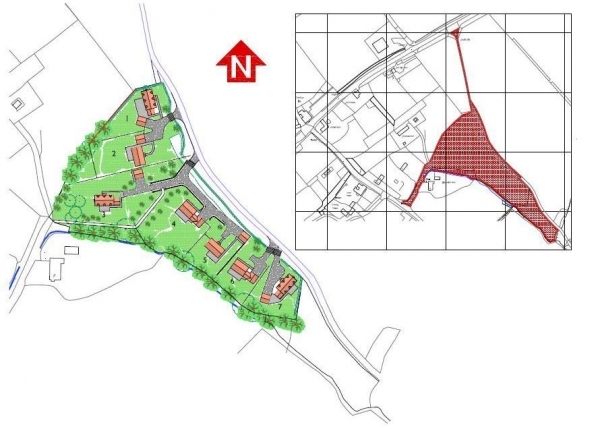 Land for sale in South Shropshire is on the market with planning permission for seven, four bedroomed homes. 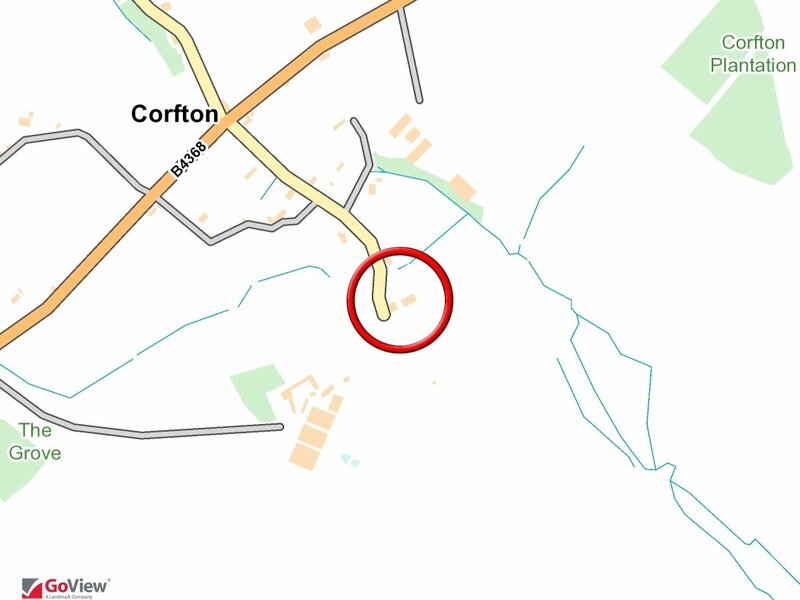 The spacious development plot is situated in the picturesque countryside at Corfton, some eight miles from the popular market town of Ludlow. Ludlow enjoys an enviable reputation culturally, foodie plus well regarded secondary school and further education facilities. There is also an excellent array of independent restaurants and shops. 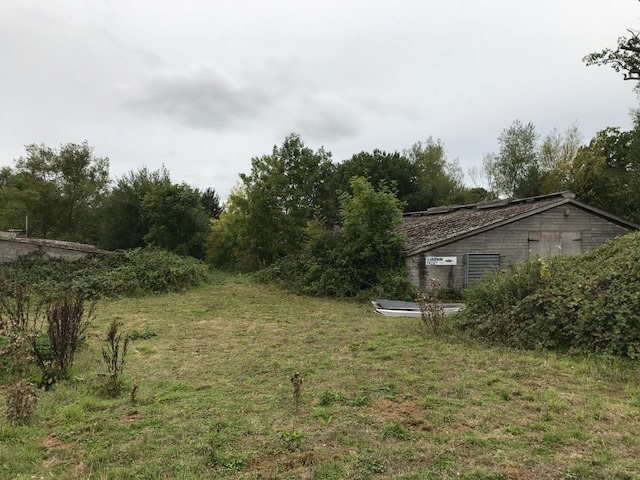 “This exclusive development opportunity is marketed with full planning permission for seven homes with generous plots and good access,” Alistair adds. The development is marketed with a guide price of £670,000. Call Balfours on 01743 353511. 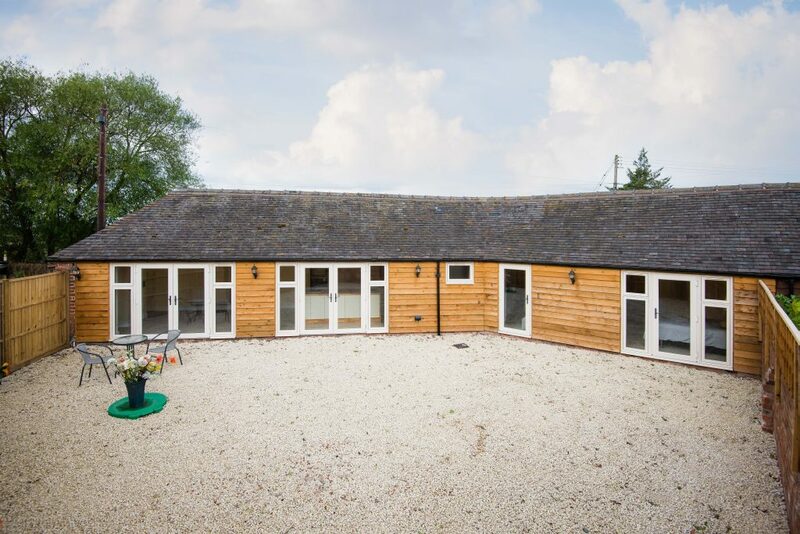 A rare opportunity to buy a brand new and youthful barn conversion is likely to be snapped up according to Balfours. 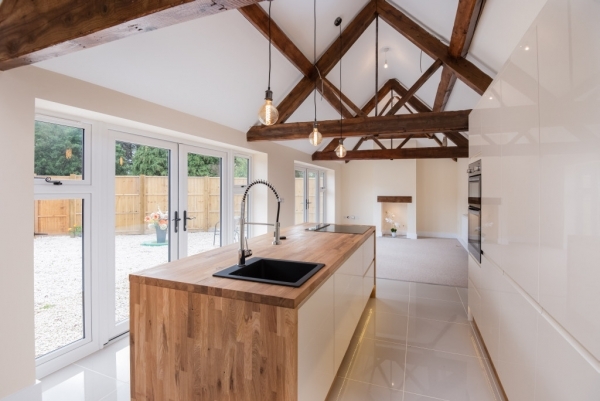 Step inside the front door of this two bedroom home for sale through the hall to the open plan kitchen/living room which bask in space and light associated with a much larger home. An apex beamed ceiling and kitchen-island complete the curb appeal. The shower room is to be found across the hallway, while the two bedrooms are privately positioned at the opposite end to the living quarters. Two pairs of French doors from the kitchen lead to the enclosed, good sized garden terrace, currently laid to gravel offering low maintenance and to be enjoyed from each of the bedrooms too. The Nook is marketed at an affordable £215,000 and for many will sit head and shoulders above properties of a similar budget. For more information call the Balfours property sales team on 01743 353511. 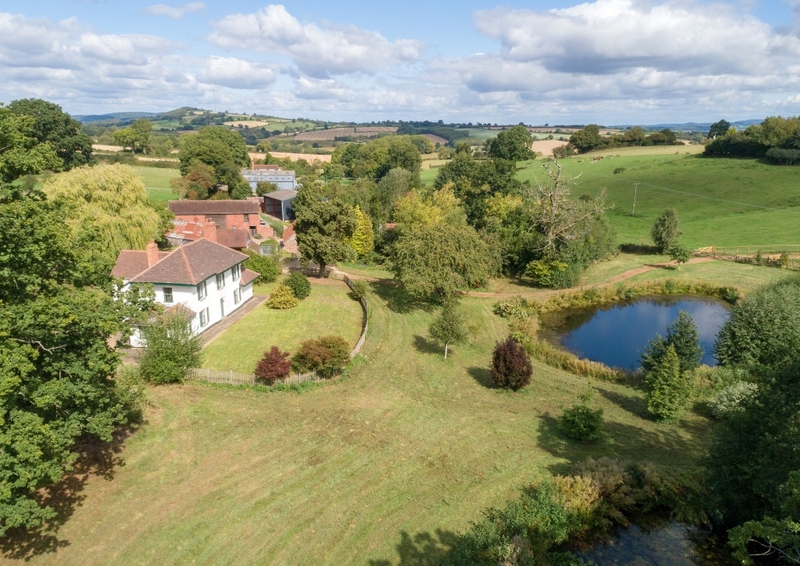 A stunning farmhouse set in an Area of Outstanding Natural Beauty near Yatton, Ross on Wye, is on the market with Balfours LLP. 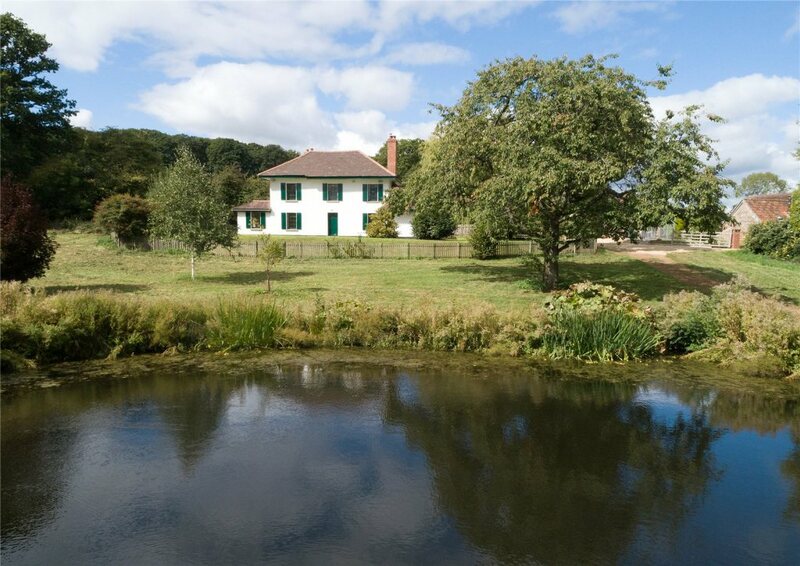 Lodge Farm sits in an idyllic location overlooking a pond, it comes with 4.17 acres including a pretty garden and garaging and the option to buy more land. The entrance hall leads off to each of the main reception rooms and to the kitchen breakfast room. 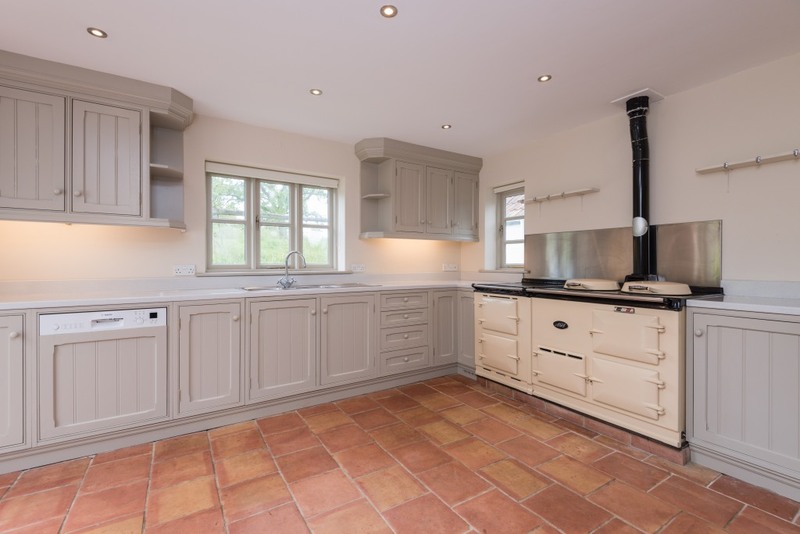 The kitchen benefits from a four oven Aga and newly fitted units – with French doors inviting meal times to spill out onto the terrace. 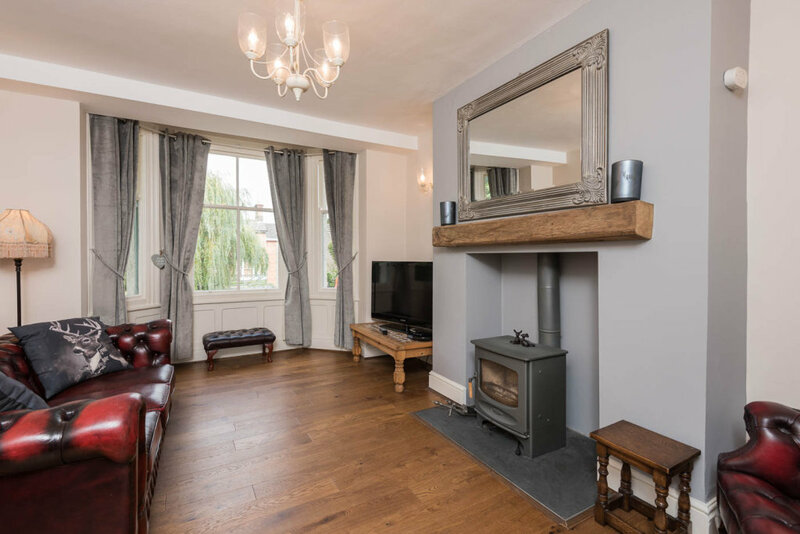 A traditional fireplace is to be found in the sitting room, together with glazing to two aspects, including French doors to the garden and surrounding countryside. The dining room is on the opposite side of the hallway, beyond which is an enchanting third reception room with the original cast iron range. A rear lobby, with stairs to the first floor and basement, porch and a cloak room with shower complete ground floor accommodation. There are four bedrooms on the first floor, some with original fire places and the master room with en-suite; a family bathroom services the other three rooms. 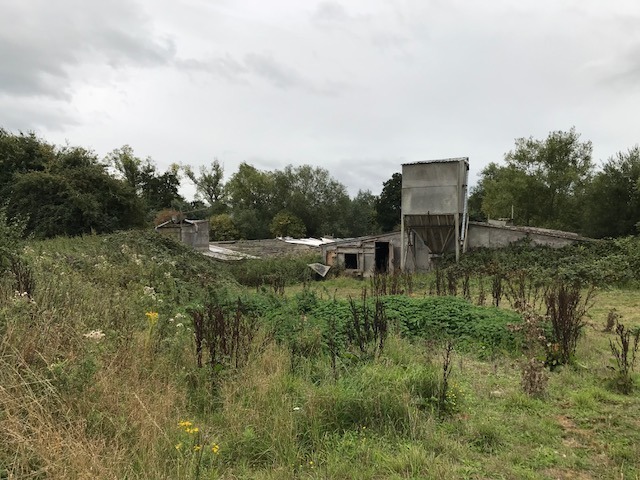 Balfours and Knight Frank are jointly marketing Lodge Farm with a guide price of £600,000, there is the option to buy extra land and a courtyard of traditional buildings. Call Scott Kemsley on 01584 707100. For further information visit our Property Sales Page. An individually designed detached home for sale, with extensive living space, plus an annexe above a triple garage, is on the market with Balfours. 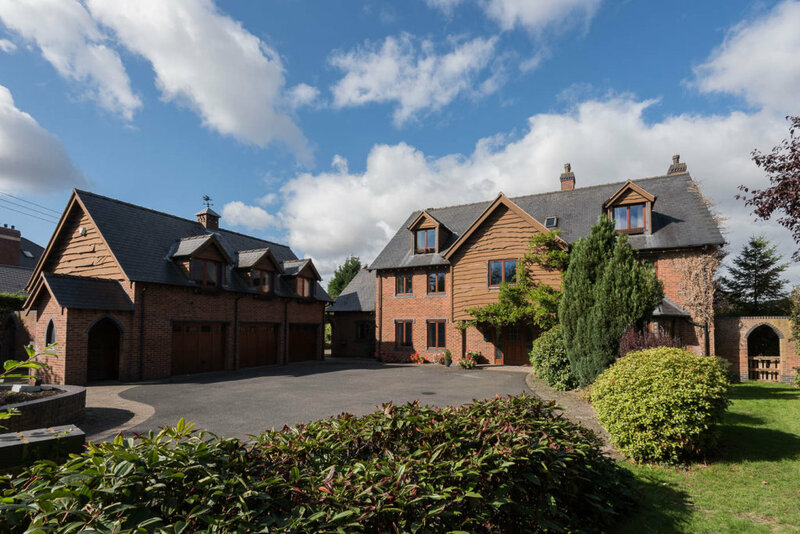 Dovecote Grange is set in three quarters of an acre in the highly sought after village of Bratton, close to Wellington in Shropshire. 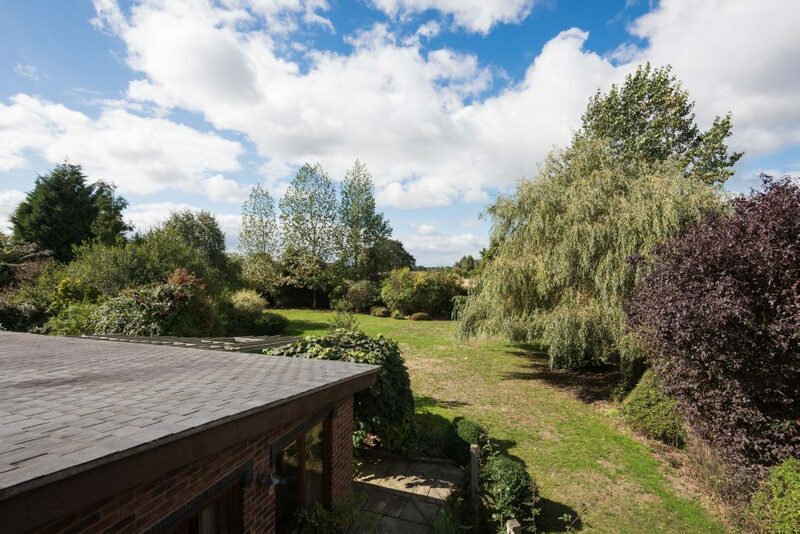 Key amenities are to be found nearby, these include the local primary school with outstanding Ofsted, local GP surgery, plus the Princess Royal Hospital little more than two miles away. A wide range of local shops, a popular public house and major roads are also within a short distance. Of significant proportions the property provides eight bedrooms and seven bathrooms over two floors. 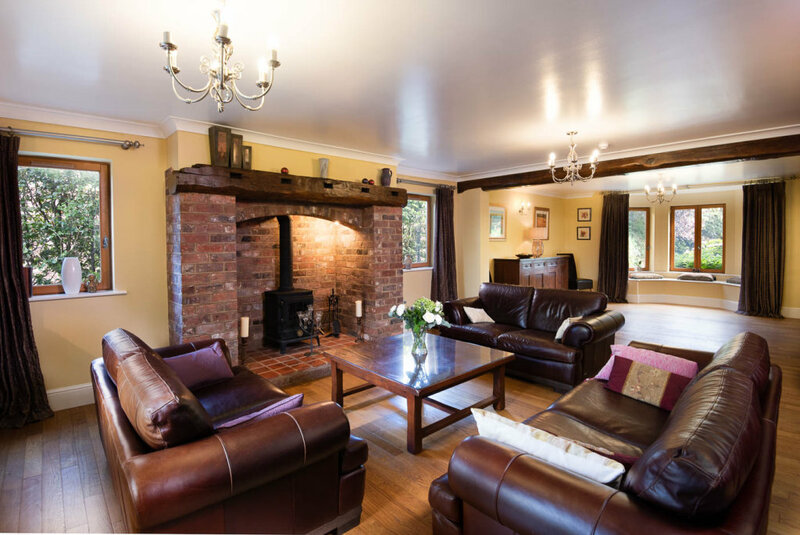 The ground floor enjoys a large welcoming hall, with double doors to the main lounge a double aspect room with bay window and French doors, plus a large inglenook fireplace with woodburning stove. 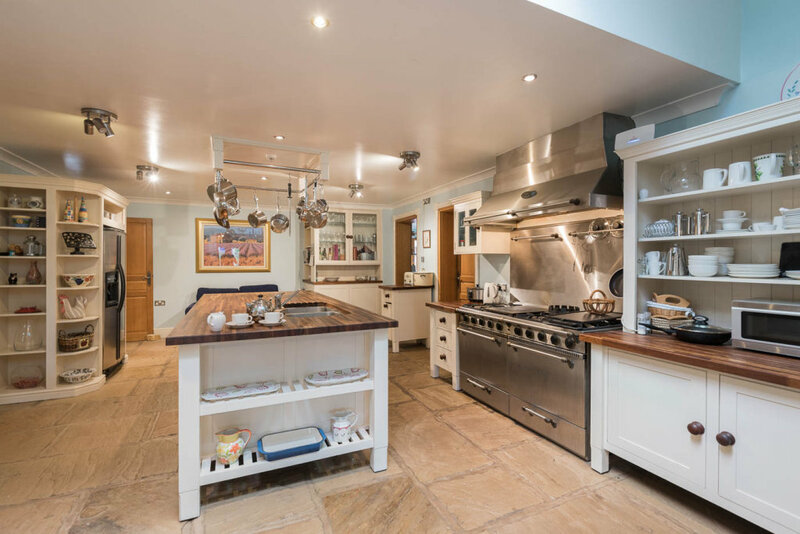 The kitchen is the heart of this home, designed in French style with bespoke island and units, a professional cooker, plus pantry and utility. 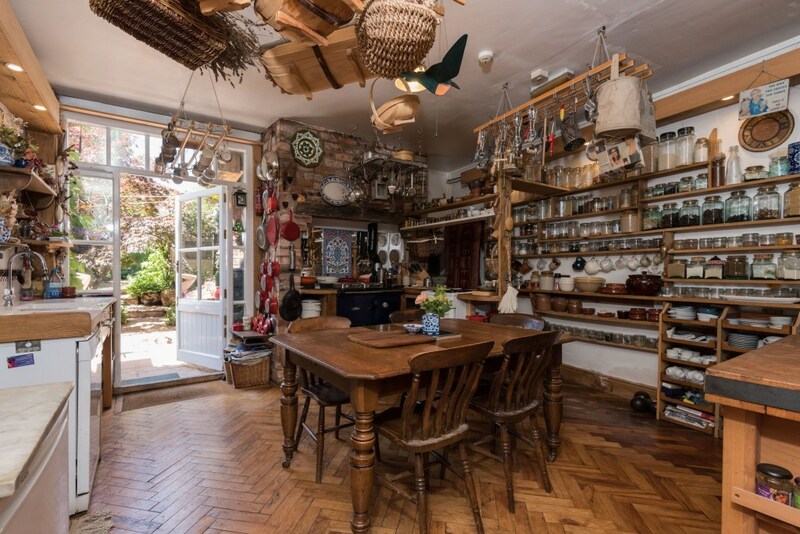 There are a further four reception rooms namely, the dining room, sitting room, garden room and study; below stairs a wine cellar is to be found. Commenting on Dovecote Grange, Alistair Hilton, head of residential sales at Balfours says: “This is a very well presented and extensive family home. It also has tremendous possibility to double up for homework and indeed has been run as a bed and breakfast; the additional flexibility of the two bedroom annexe adds to its potential.” Dovecote Grange is marketed with a guide price of £850,000, call Balfours on 01743 353511. Appeal exudes from this charming grade II listed property for sale in Oswestry town centre. This flexi four or six bedroom home, with or without a self-contained flat, has an abundance of features. 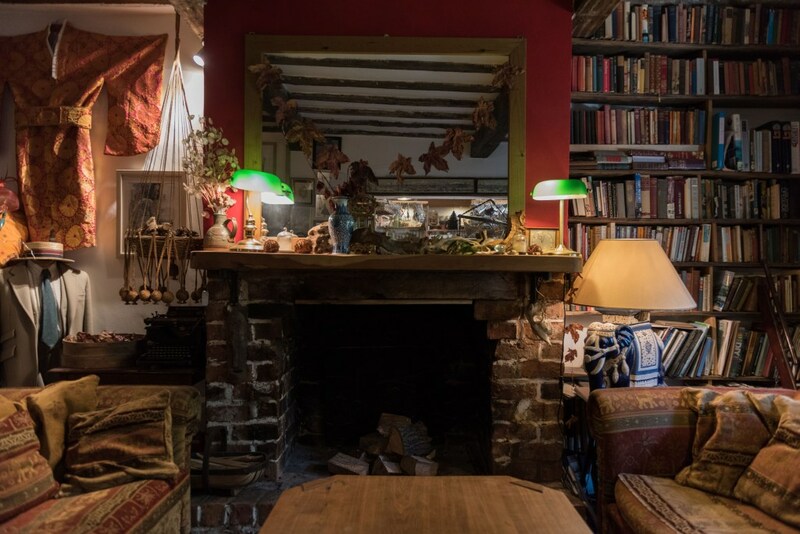 The entrance hall of Ty Gwyn, 57 Willow Street, opens to a sitting room and library; these are two of the three reception rooms, each with feature fireplace. 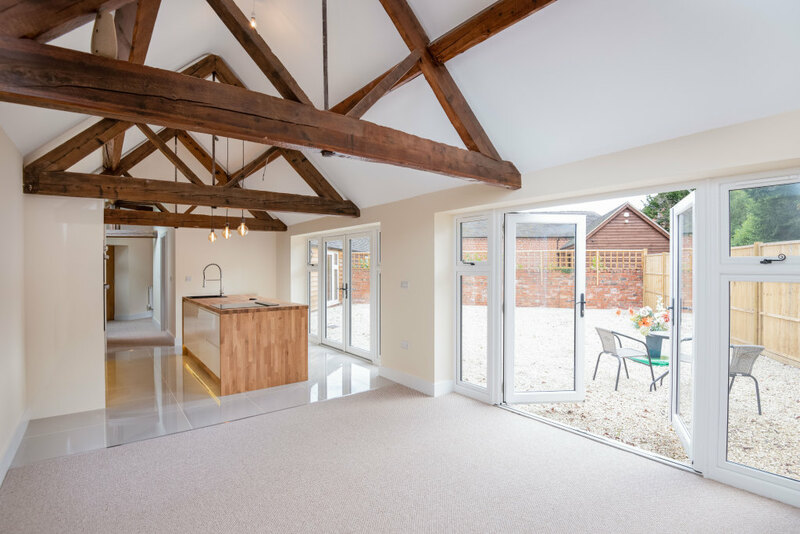 The sitting room with open timber frame revealing the staircase behind. To the rear of the house are the open plan kitchen and living room, with French doors to the garden. Ground floor accommodation also provides a utility, conservatory and wc. Ascend to the first floor where there are three/four bedrooms with three en-suites. True decadence is to be found in the master bedroom which enjoys its own roof terrace. Ty Gwyn, is marketed with a guide price of £425,000. Call Shropshire Estate Agents Balfours on 01743 353511. A playful mix of charming features, offering flexible living space makes Donbard House a unique find. 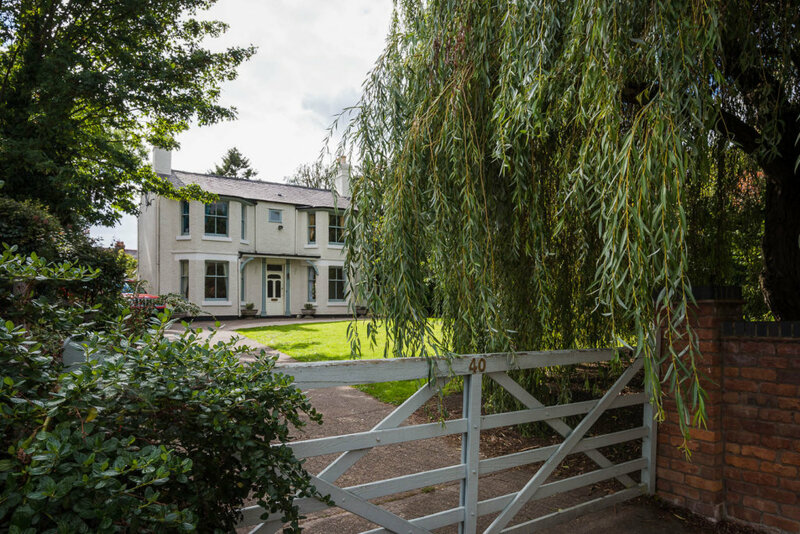 This early Victorian property siting at the end of a driveway flanked with shrubs belies its proximity to Shrewsbury town centre. Donbard House, 40 Belle Vue Gardens, currently provides four bedrooms within the main house. 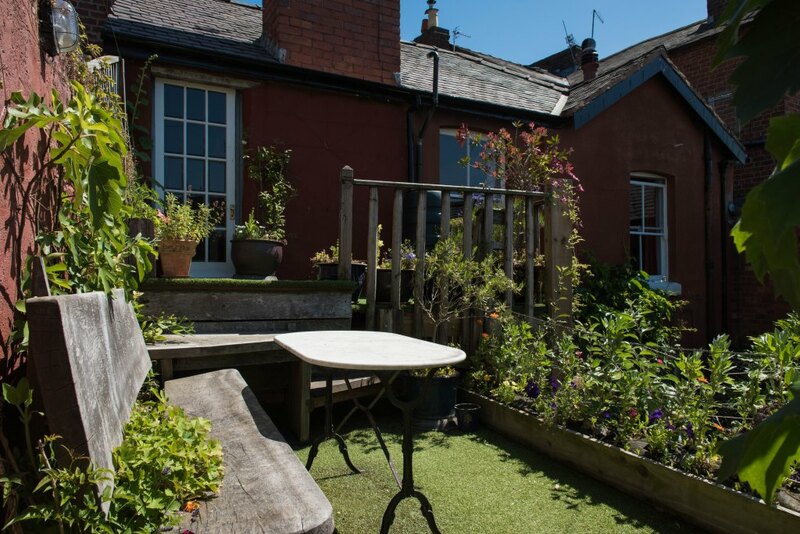 In addition at the bottom of the garden is a Victorian Summer House, with full planning to restore to create a one bedroom annex. 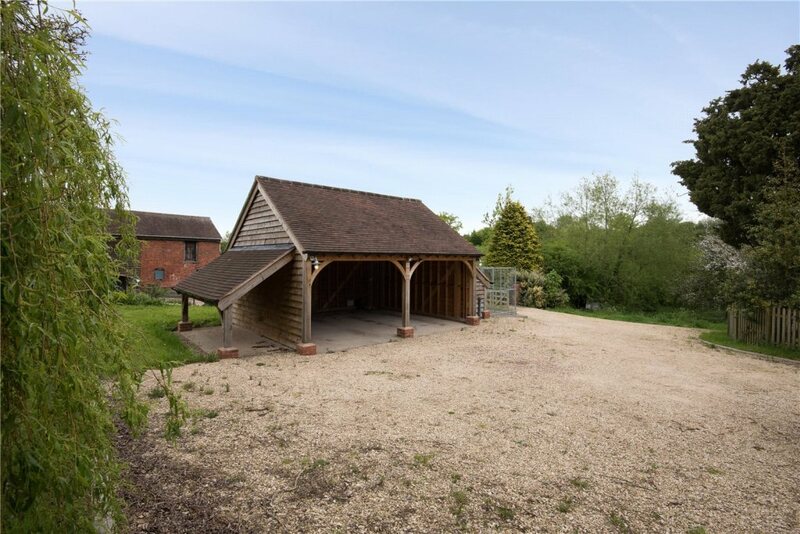 Within the third of an acre plot is also the coach house, garden workshop and outside wc. Step inside and a welcoming hall has natural light billowing through a bay window. 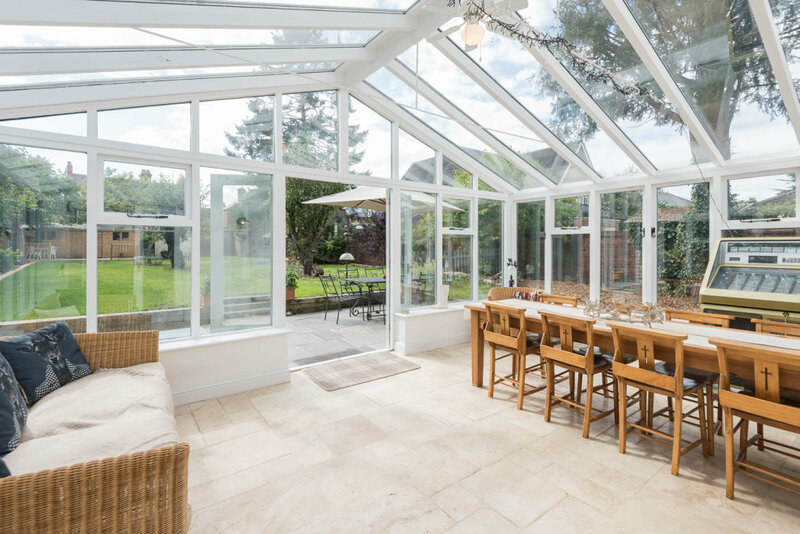 The ground floor comprises of the living room, kitchen and conservatory/dining room. 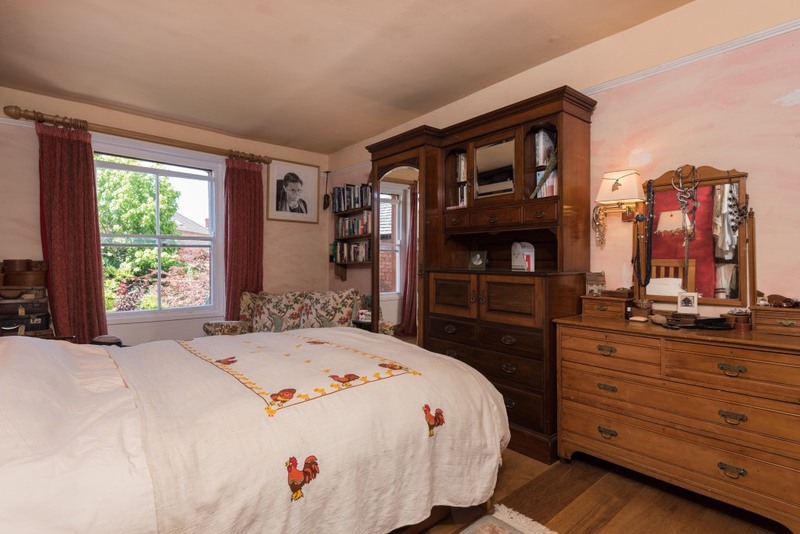 There is also a utility/wc and an additional reception room, currently used as a bedroom. A study is to be found on the lower ground floor – set-up for and conducive to a calm and undisturbed environment. 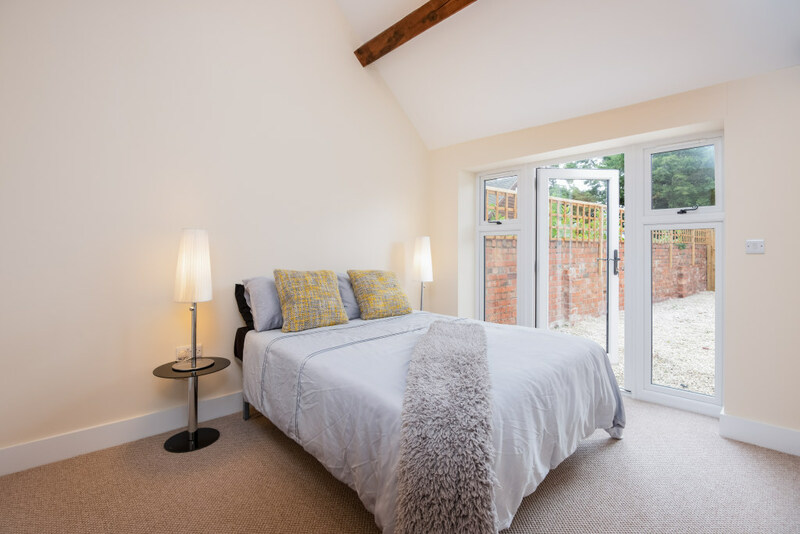 The first floor comprises of the master room with en-suite and a pair of fitted wardrobes, two more bedrooms and a family bathroom. 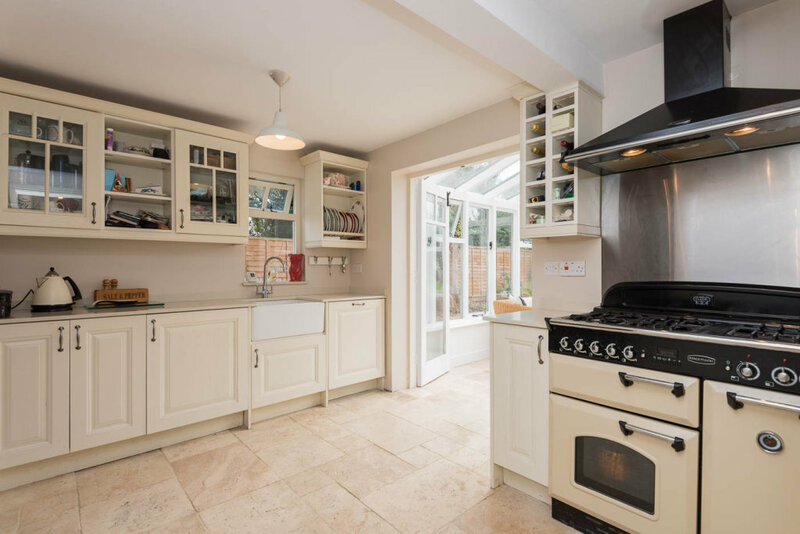 Donbard House is marketed with a guide price of £625,000, call Balfours on 01743 353511.